Get Your Forklift Licence in Unanderra: Get Trained Today! - Be Certified Today! Get Your Forklift Licence in Unanderra: Get Trained Today! 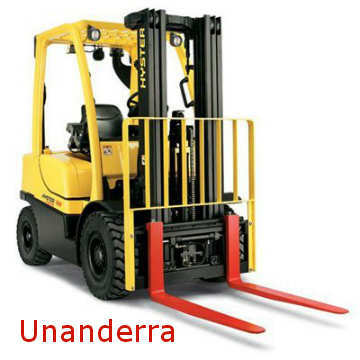 Having a forklift licence in Unanderra is important to become employable in the field of material handling. If you have such a credential, you are also more likely to receive a higher wage than those without. It is your competitive edge. Not only you are able to elevate your career if you have such certification, you are also complying with the present legislation. It is utmost essential for a forklift operator to be certified and qualified. A forklift licence is not just a piece of document that you don’t give importance to. It is your solid proof and evidence that you can do the job well and safely. Without it, you won’t be having a hard time getting a forklift job. Choose what type of licence you want to obtain. There are two types: the LF and LO. The LF Licence allows you to drive any forklift, eg: counterbalance, (with the exception of an order picker/stock picker forklift). While the LO Licence: permits the driver to ONLY operate an order picker/stock picker truck. Enrol for a forklift training course at the school. The school is the place to go when you want to get certified. The list of schools in Unanderra where you can take the training is listed below for your reference. There are three parts to the course. The classroom training, practical training (hands-on demo), evaluation for both the knowledge and practical skill. Once you have completed the first two parts of the course, the trainer will ask you if you ready and prepared for the assessment part. The RTO or trainer will book you for the assessment schedule. You will be assessed by an NSW SafeWork Assessor. When you attained a competent mark, you will be issued with a Statement of Attainment for TLILIC2001 Licence to operate a forklift truck, Safework Notice of Satisfactory Assessment (NSA) which is valid for 60 days and the N4 Application Form. To apply for NSW High Risk Work Licence, you need to submit the following documents in person to Australia Post: the blue application form, the N4 form given to you by the RTO or assessor, the orange copy of the NSA, 100 points evidence of identity showing the information such your name, DOB, current address, and signature, recent passport-size photo with name and DOB on the back, and the required HRW application fee of $72.50. The HRW licence you applied for will be mailed to you within a few days. How Long Does the Forklift Training Take? The duration of the training takes between 3-4 days depending on the assessment schedule. In the first two days of the training, you will undergo the classroom training and the practical training. On the third day is your assessment schedule. But if the NSW assessor is fully booked, your assessment can be done on the following day. The number of trainees per class is usually 8. If there are more than 8 trainees during the assessment, the assessor will schedule the half of the class on the following assessment day. Practical assessment is part of the certification process, it, therefore, requires you to have a good level of physical ability for you to be able to operate the forklift. If you have any physical issue or medical problem that could hinder you from taking the training, you would not be able to get certified. The forklift training is taught in plain English. The training materials such as videos and presentation, and test materials are formatted in English. You need to be able to comprehend and understand the English language to be able to perform in the class. And since the certification is done using the English language, you need to be able to communicate without anyone assisting you to interpret. You must be at the age of 18 years old and above to get accepted for the forklift training course. It is the legal age. You need to bring evidence of identity for 100 points. Here are the IDs and documents that you can show and bring when enrolling in a forklift course. Comfortable clothes and safety shoes. Yes, you can wear the clothes you are comfortable wearing, you need also safety boots with steel toe. You will use them during the operation and hands-on demonstration process. If you are holding an NSW HRW forklift licence and it is due to expire, you will receive an application form from NSW WorkSafe two months before the expiration. To make your licence is current, make sure you fill up the form and pay the fee for its renewal processing in the soonest possible time. Take the completed form and renewal fee to the nearest Australia Post to submit it. You will have to come to the post personally; you cannot send someone to do the application for you. Application and renewal of the licence are important, you cannot work and allowed to operate a forklift with an expired licence. To increase your potential of employment, the first thing you need to obtain is your forklift licence in Unanderra. It will only take a small amount of time and a little money to get one. But the advantage of having such credential is staggering. You can have a long-term and continuous employment in the construction and manufacturing, mining and warehousing industries. These are the places where you be employed as a forklift operator. Good luck to your career!